Rieko is cleared of a false charge and released from a prison at the age of 40. She was accused of murdering a child at the orphanage where she worked and served eight years in prison. Her good friend Azumi, who was her only alibi, betrayed her. 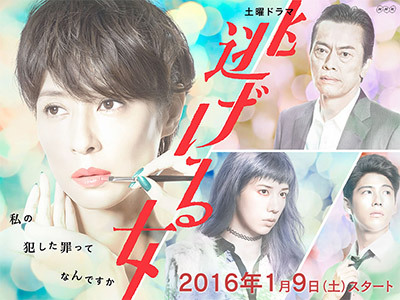 Rieko sets out to find Azumi and Sakuma, the detective in charge of the case, goes after her. He regrets sending the innocent Rieko to prison, but fears that she will take her anger and hatred out on Azumi. Rieko soon meets a young lady Mio. Mio instantly sees through Rieko�fs dark and strong emotions, but does not attempt to leave her for some reason. Although Rieko finds Mio creepy, she continues her journey to search for Azumi. She does not know about Mio�fs past. Pretty dark and depressing. There's a subplot involving the section chief that's a complete waste of time and questions about the Azumi character that never get answered. But Riisa Naka gives an outstanding performance as a psycho/wack-job.